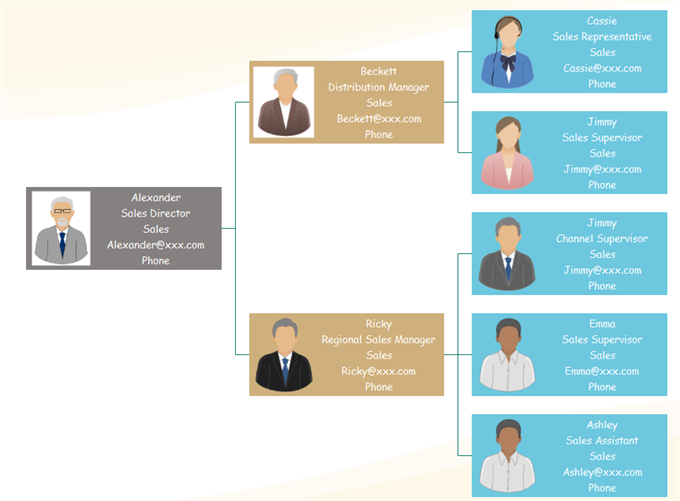 Lucidchart vs. Edraw OrgCharting: Which One for Creating Org Charts? 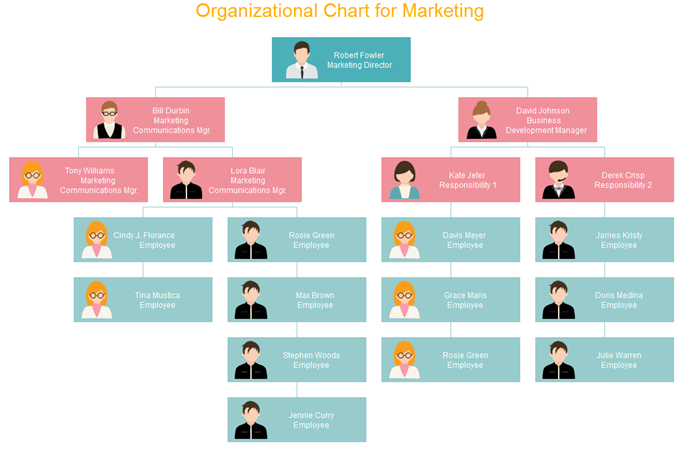 Lucidchart is a good online diagramming tool for users to draw different types of charts including organizational charts. However, is it the only choice that you can pick? Are there any other better alternatives for creating human resources org charts? Let’s find out right now. 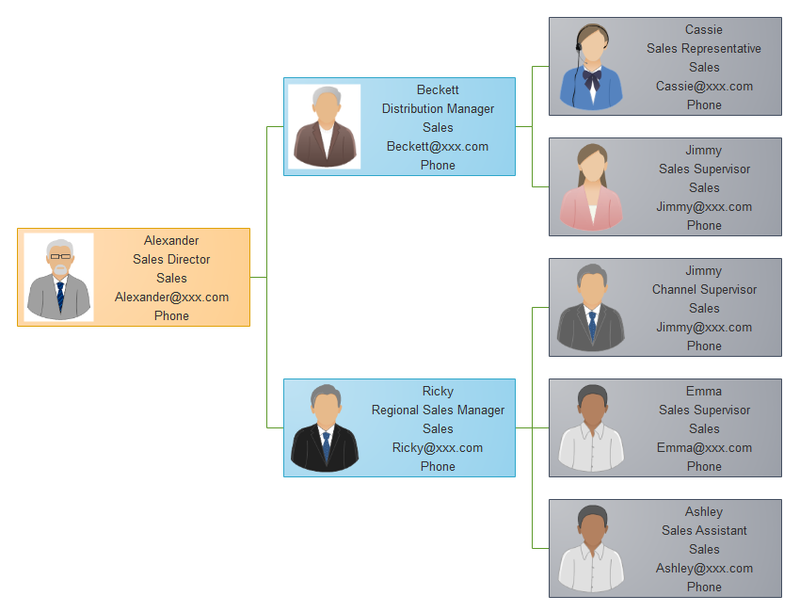 Both Lucidchart and Edraw OrgCharting have a clear user interface and are convenient for users to add employee shapes. For example, in Edraw OrgCharting as shown below, you can quickly insert managers, colleagues, subordinates or assistants. Both of these two tools allow users to insert supportive materials such as images, comments, notes or hyperlinks etc. Org chart can be classified into two types: vertical and horizontal, based on the style of the layout. A vertical org chart looks like a pyramid. At the top is the CEO or company president. A single segment consists of a series of middle management and the manager who is responsible for their department. In contrast, a horizontal org chart has no middle management, hence normally all employees need to report to only one manager. Such type is also called the flat org chat. This article is going to explain the most significant differences between vertical org chart and horizontal org chart in terms of decision-making, collaboration, and communication. The horizontal org chart is a type of org chart that is set horizontally which is opposite of vertical org chart. The horizontal org chart has just the same function as other org charts do except the approach of the layout. Of course, you can turn a horizontal org chart into a vertical easily by changing the layout. When we make an org chart with fewer levels, it does not matter whether it is horizontal or vertical. Whoever if the org chart has many layers, it’s better to make it horizontal than vertical for high readability as well as good-looking appearance. Besides, there are more types of org chart like matrix org chart and functional org chart. Unlike vertical and matrix organizational structures, a horizontal organizational structure has fewer layers, normally two or three. It doesn’t have many chains of command. The top position of the structure is the owner of the business. The second layer contains managers or team leaders who report to the business owner. The third layers are team members supervised by the managers or team leaders in the second layer. The horizontal org chart has eliminated many middle management levels, thus can be considered as an employee-centered with emphasis on teamwork and collaboration. Without going through complicated hierarchies, employees have more contact with managers and even business owner.